Let us help put a great guitar in your hands, be it a custom design or one of our in-stock beauties. 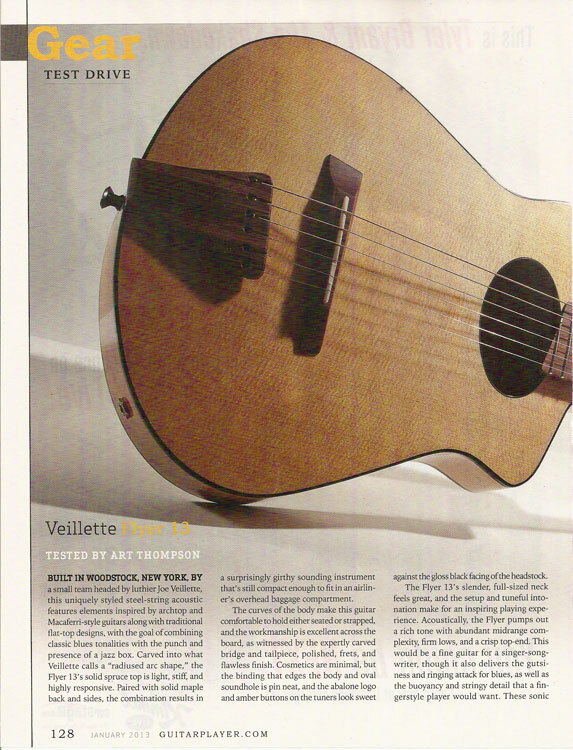 Call Joe or Ande at 845-679-6154 or email info@veilletteguitars.com to talk or to schedule a visit to our Woodstock, New York Custom Shop. You can also check with one of our exclusive dealers.